This product has support for USB connectivity only and is compatible with the GS-911 Windows™ PC software. 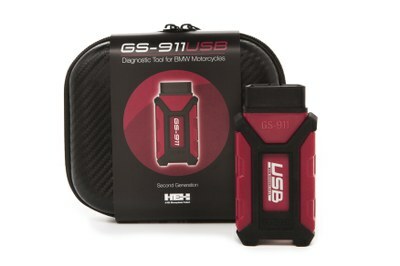 The GS-911usb Generation 2 is limited to an Enthusiast License (10 different VINs for service functionality) and cannot be upgraded to a Professional License. This model's basic connectivity setup makes it the most cost-effective GS-911. This model is able to service up to 10 motorcycles with service functionality and an unlimited number of motorcycles with emergency functionality.